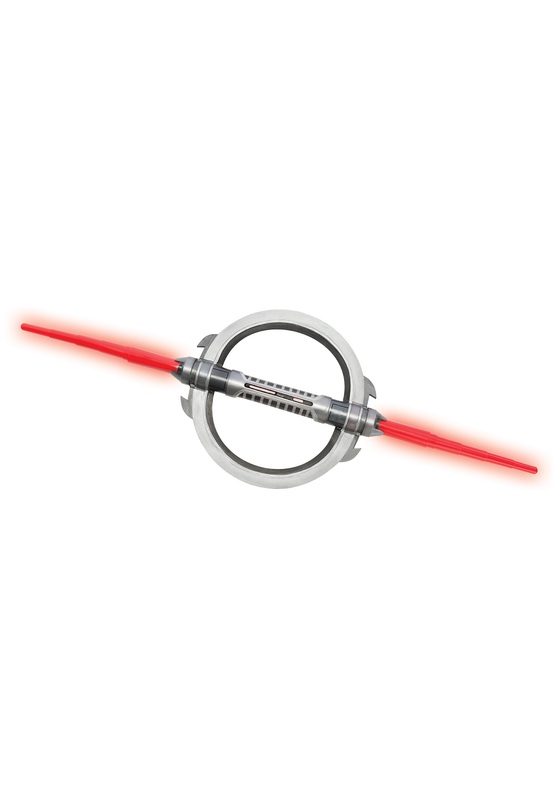 First we had the single lightsaber. Then we had the double lightsaber. Then we saw the Tri-Saber. And now, just when you think there couldn't possibly be any more, comes the Inquisitor's double lightsaber with round hilt apparatus! What will those Sith think of next... you know they're the ones behind these wicked designs. Still, this one is very imposing and we certainly wouldn't want to be on the receiving end of the Inquisitor OR his lightsaber. You may recognize this from Star Wars Rebels, a FANTASTIC show on Disney XD. 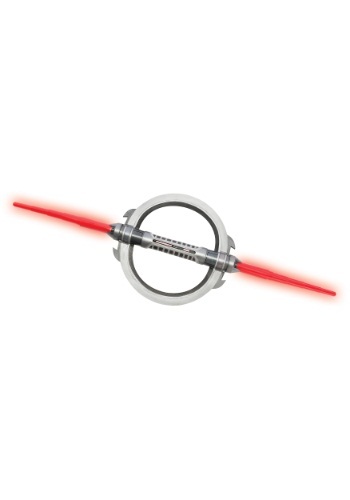 Pick this up, and fulfill your destiny with the dark side of the force! Or, you know, just swing it around outside and try not to knock over any plant stands or bird baths... that kind of thing.